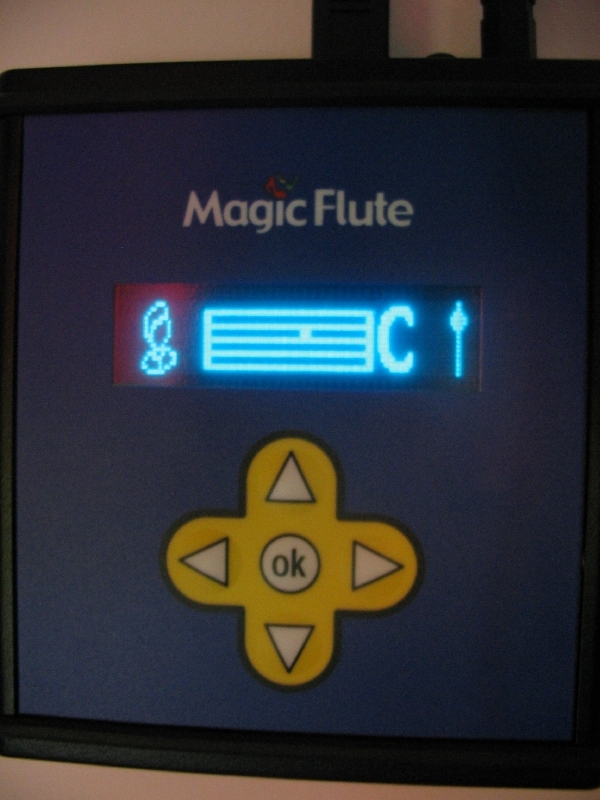 On the Yamaha WX5, WX11 and the Magic Flute one can learn to play music from sheet music. Here we show what this means in practice. This is meant for both Tutors and Users. Over the years we have assembled a nice selection of suitable sheet music. There are various styles like pop, jazz, children’s songs and classical music. 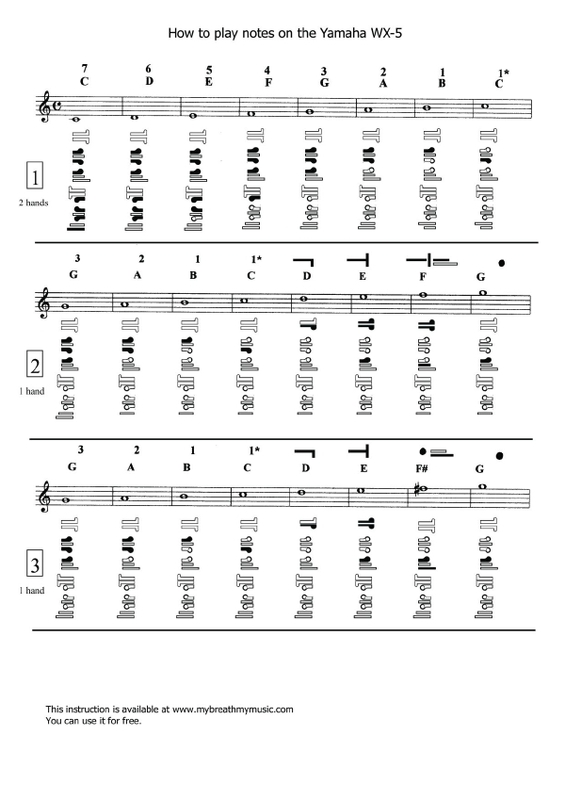 You can download this sheet music free of charge and it’s highly suited for our target group. Our collection is still growing and we’re always on the look-out for more suitable material. In order to make it as easy as possible to play a piece of music I have developed a simple method to learn songs. If you use this method it won’t take long before you can play your first solo. Some of our participants have both physical and mental disabilities. They too can learn to play songs using this method. The fingerings can be read quite easily. For many pieces, chord symbols which can be used by an accompanist are included as well. On the download page you can find a document entitled: “Special Signs”. This is our unique musical code for both the WX5 and the WX11. In the diagram on that page you can find the codes and the relevant fingerings. If you need more help, you can post your questions to our e-mail address. 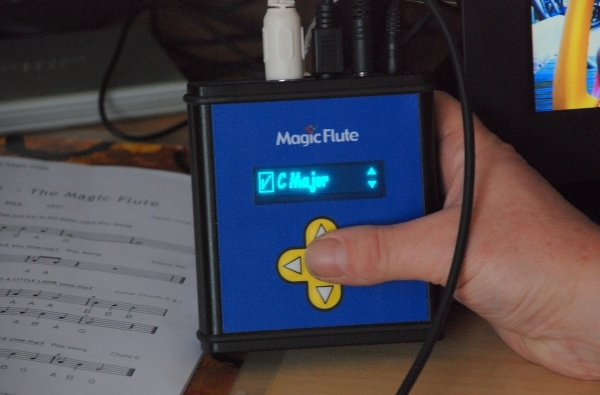 For the Magic Flute we use the traditional notation method, which is most obvious, because a music stave is also shown on the display of the Magic Flute. 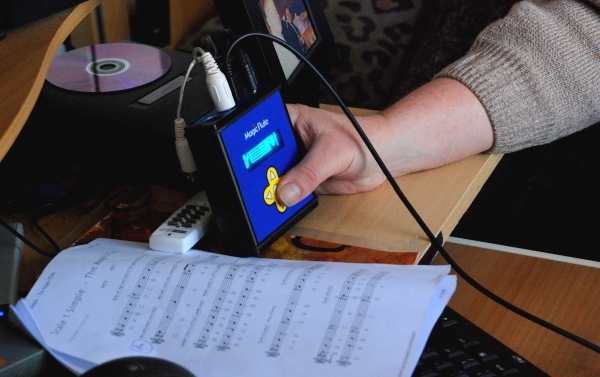 Besides sheet music, the download page also contains play-along mp3’s and MIDI files. It’s nice to play along with these and it helps you to learn to keep the beat. Of course, it’s even better if you can find a teacher at home. This can be done at a very early age – our youngest participants are around 4 years old. Improvisation is very good for mental development. Someone who can improvise music well is often able to cope well in daily life too. Participants with a mental disability can easily learn this technique. On our download page you’ll find a number of professional play-along tracks. These tracks have been composed especially for My Breath My Music. Each track comes with information on which scale to use. Making music has never been this easy!